In a world where bigger seems to almost always mean more socially and environmentally destructive, it's nice to know that someone is looking out for the little guy. But not all food Goliaths are created the same, and some are making a greater effort than others to improve their supply chain practices. 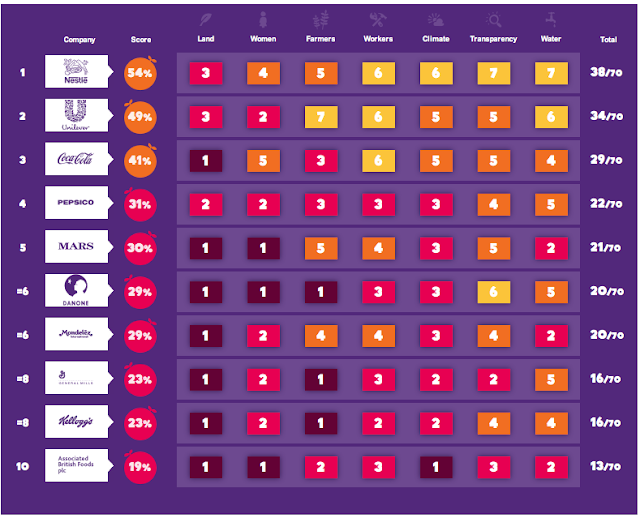 Assessing the top ten brands in the food and beverage industry, Oxfam International launched its Behind the Brands campaign in an attempt to provide consumers some guidance in this department.